Unlike the traditional media publishing market, eBooks do not have any type of filter prior to publication. Literally anyone can publish a book and distribute it regardless of the quality of its contents. The means that many eBooks on the web are devoid of interesting content and simply serve as marketing tools for some other product or service. 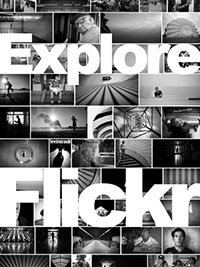 Explore Flickr by Thomas Leuthard is a guide to Flickr from the perspective on someone who wants as many followers and likes as humanly possible. He covers his technique for gaming the system by following everyone who follows you, and tagging the hell out of every picture in order to get your images featured on the popular photo sharing network. Instead of viewing Flickr as a vibrant community of like-minded individuals that can share ideas and grow as photographers, he sees it as a system that can be played. Much like black hat SEO (search engine optimization) the worth of your work is lost in favor of blindly chasing the abstract goal of more likes. I supposed you could argue that the system is in place to be used to your advantage but I fundamentally dislike the message of this eBook. But remember what the author is doing with Flickr when you consider any of his other titles. 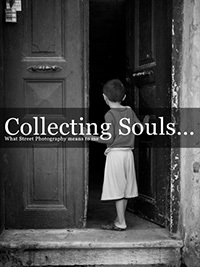 Collecting Souls is a free eBook that seems to be designed to sell to the author’s corresponding video course. A link to buy this content is prominantly featured within the first few pages of the document. 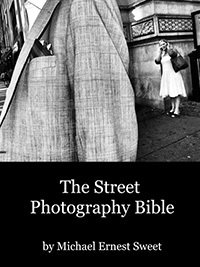 This street photography eBook contains lots of tips for beginning street photographers. 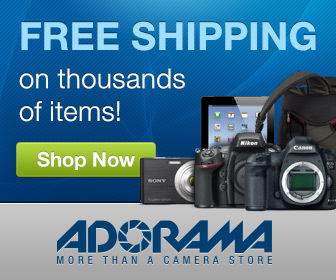 Thomas covers topics like dealing with critics and how to learn from your own failed shots and grow as a photographer. But he’s only been shooting street photography for a couple of years so it’s difficult to take any of his advice as the voice of experience. This eBook runs about 100 pages and seems like a bit of a rehash of the information presented in Collecting Souls and I can’t help but wonder if he’s using free eBooks the same way he uses Flickr. Is he just driving traffic to his video course by publishing countless eBooks that all say essentially the same thing? There is a stillness – a silence – in all of Leuthard’s photographs (despite their urban backdrop) which compels the viewer to linger over the photographs and inhale the scene like a drug – an opiate. 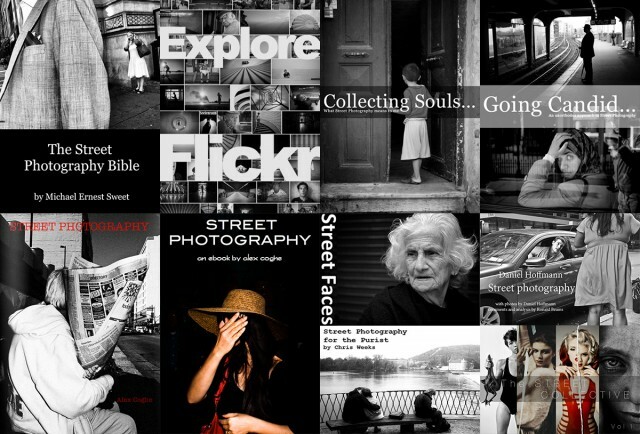 Street Faces is the fourth eBook in the list from Thomas Leuthard and this one focusses on street portraits. It’s mercifully shorter than the previous three but by this point I’m having a hard time digesting anything he has to say. I think he tipped his hand with his Flickr book and it’s difficult to see this as anything other than another billboard for his paid video course. 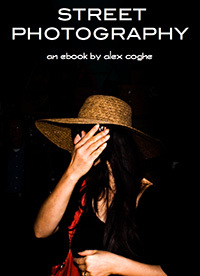 Street Photography An eBook By Alex Coghe attempts to give a broad overview of street photography as a visual medium. Unfortuntely the writing style is convoluted and virtually impenetrable and I found myself re-reading sentences to try and understand what exactly was being said. This could be a language/translation issue but I honestly couldn’t get through the first page without giving up in frustration. The images are moderately interesting so it’s worth skimming the book from that perspective. You can view this eBook as html but to download it as a pdf you’ll need to subscribe to scribd (a digital book subscription service). 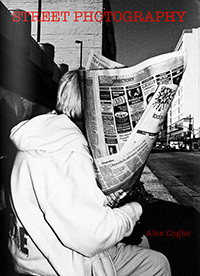 Street Photography By Alex Coghe is a collection of Coghe’s personal street photography. 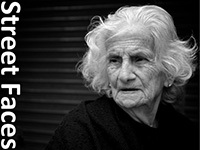 The black and white images are interesting and you can definitely see the direction that Coghe is taking with his work. I fully support photographers publishing and sharing their images in this format! The Street Collective Volume 1 is nicely put together but it’s not really a street photography eBook as it covers a wide variety of photography styles from commercial work to portraits and everythign in between. Each section features an interview with a photographer followed by some of their photos. There’s only a couple of sections on street photography but guess who makes an appearance? Thomas Leuthard! That dude is everywhere in the eBook world! Overall this one is a bit of a disappointment as street photography is mentioned only in passing. Still, it’s a free download so it might be worth having a quick look to check out the handful of street photographers that are featured. At first i thought he was kidding! It’s a list of things to do if you want to mimic photos or create something that looks like street photography that somone else has already done. This kind of over-simplification that leads to cliches in street photography. Don’t rely on rules! 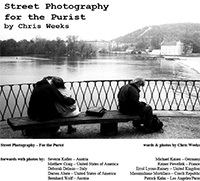 Street Photogrpahy For The Purist is broken down into sections featuring the work of a varitey of photographers. Each photographer talks about what street photography means to them as a foreword to the images and it’s interesting to hear what each photographer has to say about the definition of street photography but their images don’t always stand up to the high ideals of that definition. The format is interesting though as it occurs to me that we spend a lot of time talking about the definition of street photography. Do street photographers in particular feel the need to justify our work by defining the actions that led to its creation? At some point we’re going to have to accept that street photography exists like a noun – it’s meaning is that which it points towards. It’s not a philosophy and it’s not a movement. It’s just a certain kind of photography. Maybe then we can start concentrating on making better photos instead of making better explanations! But sweet goes a step further and includes personal notes on his favorite master photographers including Joel Meyerowitz, Daido Moriyama, Gary Winogrand, William Klein and Robert Frank to name a few. He goes into some detail about each photographer and reflects on how their work has influenced him. But, for me, the most interesting part of Sweet’s eBook is the section called “The Day I Met Bruce Gilden” where he details a chance encounter with the legendary magnum photographer. He saw the infamous street shooter working on Broadway in NYC and introducted himself only to find out that he was friendly and likeable! Completely unlike the gruff image of Gilden you see in the many videos where he’s shootin on the street. Sweet took a lot away from this chance meeting, inlcuding the fact that you have to have balls to be a street photographer. And this sometimes means literally getting in people’s faces. Anyone can get an easy photograph but the thing that will set you apart as a street photographer is your ability to get the uncomfortable shot. This is what sets Gilden apart from the vast majority of his contemporaries. Like Gilden, you need to shoot first and ask questions later. Most people are friendly and cooperative and feel good about being picked out of a crowd. Bruce typically addresses his subjects after he shoots them and chats them up a bit. Gets to know them even a little before moving on. A couple of excellent lessons for anyone interested in shooting on the street! All in all Sweet’s street photography eBook is an enjoyable little read. You may or may not agree with everything hs says but it makes for a great read on the commute to work! Definitely worth the download. Unfortunately a lot of these books seem to be disposable marketing collateral for the authors and I found very little concrete information that isn’t public domain common knowledge. The one exception is Michael Ernest Sweet’s eBook. Sweet goes beyond the basics of which lens to choose and whether you should shoot color or black and white and includes his own personal views on a lot of excellent street photographers. However you look at it the ebooks are free and if you get anything from them then you’re further ahead. My advice would be to check out The Street Photography Bible and have a look at the black and white images in Alex Coghe’s Street Photography eBook. The rest are hit or miss. 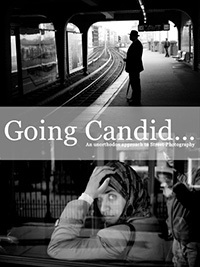 What’s your take on these street photography eBooks? Worth a look or a total waste of time? Post your ideas in the comments below and keep the conversation going!